> News Case Studies Sound it Out! 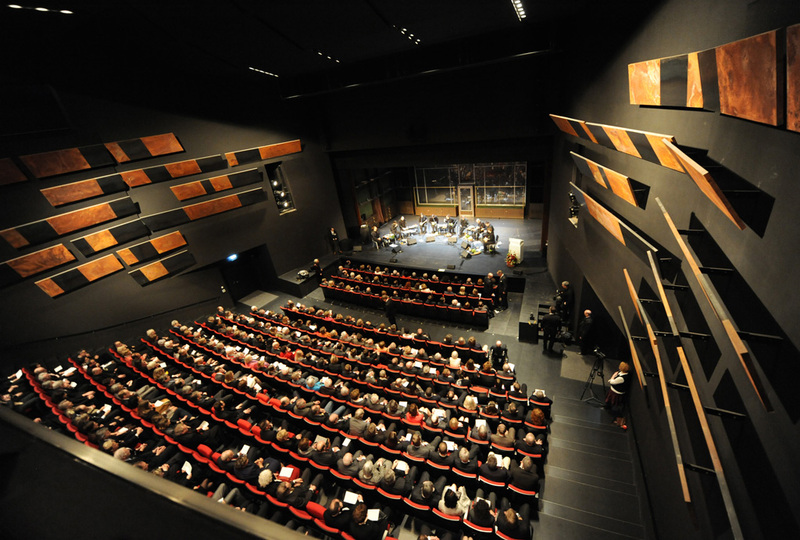 One of C-TEC’s powerful PDA1000 hearing loop systems has been installed at a magnificent new state-of-the-art theatre in Gutersloh, Germany. Designed by architect Jörg Friedrich, the theatre is an all-purpose venue for cultural activities and events of all kinds. With an impressive glass-front, the building boasts an auditorium, stage, studio theatre and sky lobby. With management keen to attract as many people as possible to the 530-seat venue, the installation of disability equipment was obviously a top priority when the theatre opened last year. C-TEC’s PDA1000 hearing loop system was specified. Chosen for its reputation as being the ideal system for large prestigious theatres of this kind, the PDA1000 provides top quality sound and unrivalled reliability and, as such, enables people with hearing difficulties to fully enjoy theatre performance. The system is connected to the theatre’s own sound system and, therefore, was very easy-to-install. Hearing loops work by transmitting amplified sound to hearing aids. Most hearing aids have a ‘T’ or ‘MT’ switch which allows them to pick up the electromagnetic field generated by an hearing loop system. The hearing aid converts this signal into a sound suited to its user’s specific hearing requirements, allowing them to enjoy theatre performances, participate more fully in general conversation and order goods or services.